just wish you could've seen me when it used to come so easy i like to say it's easy to stay but it's not for me, 'cause I'm barely here at all. It's my character Fiona's birthday today, which pleasantly coincides with the release of Beautiful People, so I decided to focus on her this month. I know it's weird to focus so much on my character's birthday, but hey. We're writers. Who ever said we were sane? Plus, I'm just really excited. Like I said, Fiona's my favorite. 1) What is their full name and is there a story behind why they got it? Her full name is Fiona Rose Bartulli. For me, Fiona has been a favorite name of mine ever since one of the members of one of my old favorite bands named his daughter that. I'd been holding onto the name Fiona to use for a while, and when I started BCII, I thought, "This story better stick around, because Fiona is too good a name to waste." Well. Yeah. It did. And it worked. In canon, her mother, Chloe, also has the middle name of Rose, so that's where she got that. 2) How old are they, and when were they born? 19, almost 20. Well, um, today, actually! June 6th. 3) Describe their physical appearance. Fiona is 5'2" and somewhat thick-bodied--she's basically not a size zero. Despite this, she's generally tiny and can curl up into small spaces. Her hair is red and shoulder-length. She usually wears graphic tees, sweats, hoodies, and sometimes jeans. (Converse, too.) Though, because of her job as a violinist, she has to dress up more than she'd like. She has dark blue eyes. I sure do! Several pictures, actually. 4) Describe your character's personality first in one word, and then elaborate with a few sentences. One word? I know I helped make these questions, buuut... uh, this is going to be hard. The one word is frustrated. Frustrated with life, with where she's going, with herself, with other people, and life circumstances. Fiona is an INFJ and constantly torn between her head and her heart. I saw a pin here that says, "It is a most distressing affliction to have a sentimental heart and a skeptical mind." That literally just sums her up. She's constantly torn between feeling and not feeling, being cold rather than being open, and being rational instead of emotional. Her instinct is to stuff her emotions down; she doesn't like talking about or dealing with them. At her worst moments, she's abrasive and rude. At her core, though, she wants to be loving and open. She's just scared and hurting, and isn't willing to be vulnerable with just anyone, if anyone at all. you may recognize this from my old blog header! 5) What theme song(s) fit their personality and story arc? Oh man. There are a lot. So basically, Kelly Clarkson cubed, and Marianas Trench cubed. How weird. 6) Which one of the seven deadly sins describes your character? 7) If they were an element (fire, water, earth, air), which one would they be? 8) What is their favorite word? She misses having a good relationship with her mom. 10) What sights, sounds, and smells remind them of that person? The sky and warm summer days, playgrounds with sand pits (it reminds her of playing in the sand with her mom when she was younger), the ocean, spaghetti, and Italian words. Go here to find out more about joining Beautiful People! Oh Fiona...how awesome you are. HAPPY BIRTHDAY ALSO. Eeeh! I loved reading this because it shows you know Fiona so so well, too. (And she's awesome.) And I'm counting down until I get to read her book and officially "meet" her. x) I love how you described her personality, she just feels so super real. I loved learning about Fiona! That is a really cool name. Reading about her personality, I think I could definitely relate to her. Awesome! Fiona sounds like a great character (and aesthetically beautiful, too, judging by that top pic. 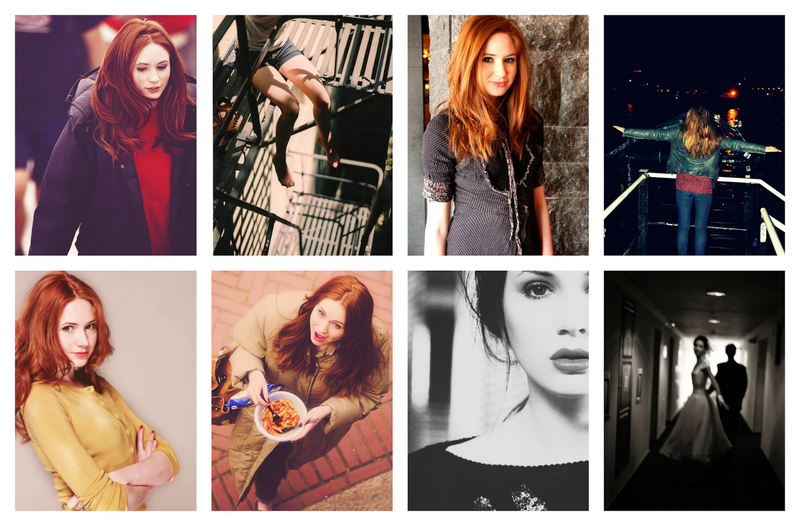 Karen Gillan is great, too ;) ). I like how her roots are all a bit of everywhere; that's a good representation of the modern world (says the half-Polish Englishwoman). Secondly, I like Fiona, she definitely grabs me because you describe her so we'll. And "pale as they come" - yes! We need more pasty heroines. I hope to enter this exciting edition of Beautiful People soon myself with one of my characters. I hope you can join! 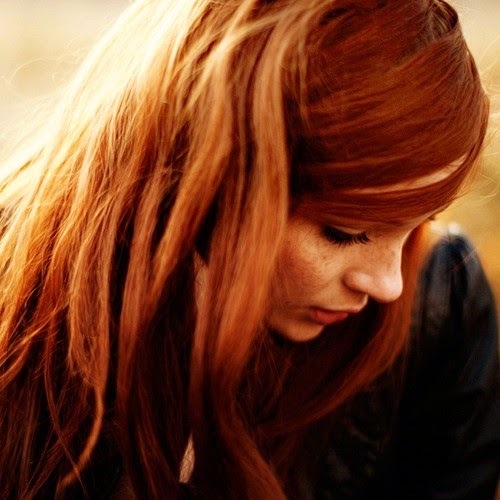 Wow, she looks just like AnnDrew except with Jesse's near exact personality (with a slight bit of AnnDrew's thrown in). I say this so much it's become cliché, but I can't wait to read more about her! Or the story she's in. Either or both would be awesome. finishing Because We Can + happy birthday, Fiona!